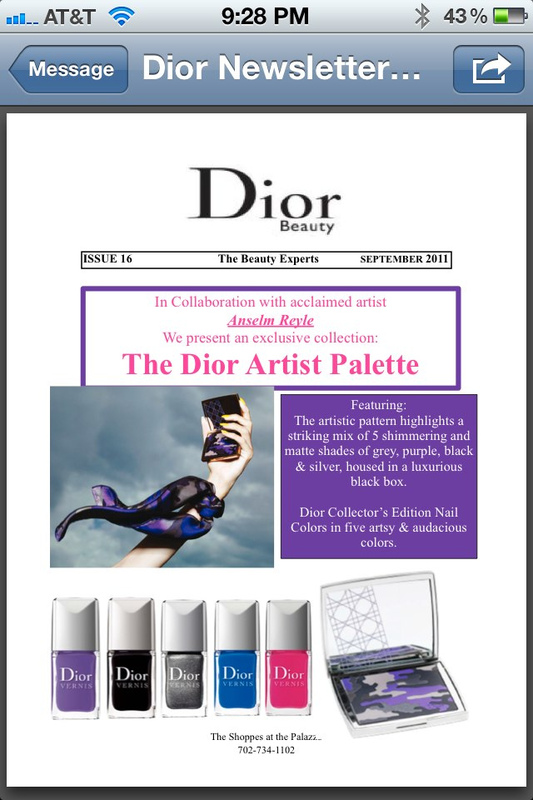 JUST after posting we were done with collections for this year, Dior decided we didn't yet have enough polishes! This came from Nelly at Dior Beauty at the Palazzo in LV. She said this collection will be available mid December at their boutique and in January at Saks New York. You can call her at (702)-734-1102 to get on the pre-sale list. This was sent to me from the lovely Karla, so if you call Nelly, tell her Karla sent you! Will post more details when I get em! But I will leave you with some action shots of the polishes! Where did you find the action shots? You're good! :). I'm loving the pink and purple.